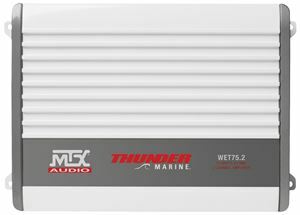 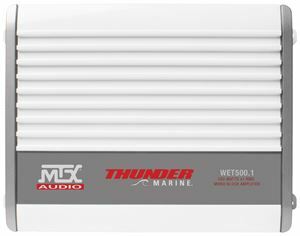 These tough MTX Audio products work great mounted in boats and pleasure craft as well as motorcycles, off-road vehicles, and toy haulers. 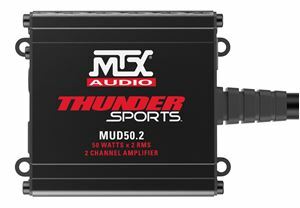 What sets these MTX products apart from standard mobile audio products is their construction. 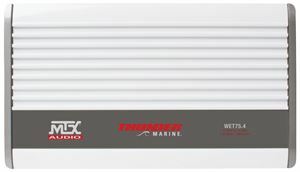 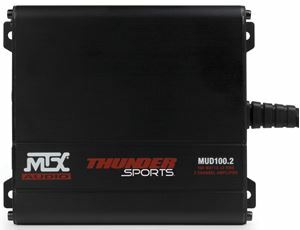 These amplifiers are designed to be extremely weather resistant and durable in outdoor conditions. 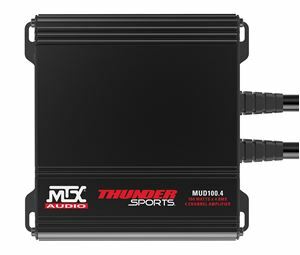 This enables you to not only get the high performance and awesome sound you associate with MTX, but you also get the MTX durable design that allows you to enjoy your music in whatever vehicle you choose for wherever life takes you.